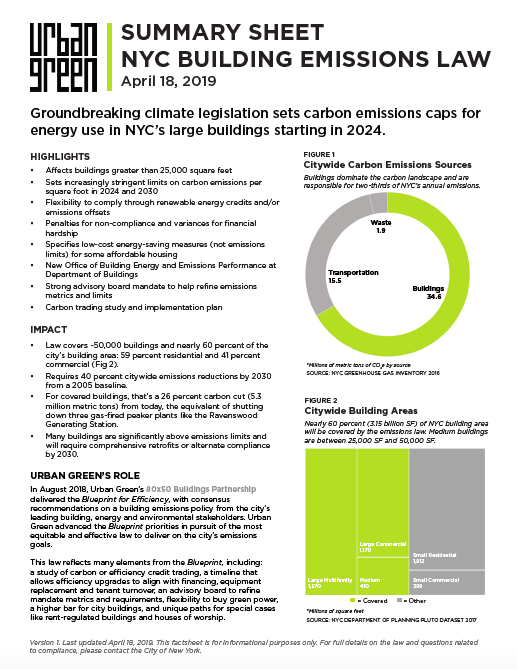 Metered New York, Urban Green’s user-friendly website that provides energy report cards for individual buildings, now includes benchmarking data from 2015, allowing users to track changes in a building’s electricity and fuel use over six years. And for the first time, you can also see the energy mix data for specific buildings. To find out how New York City buildings are doing overall, read this year’s New York City Energy and Water Use Report released earlier this month. Is Public Energy Mix Data “The Fix”? We know it isn’t just how much we eat, but also what we eat that’s important. A cup of ice cream might have the same number of calories as a plate of broccoli and chicken, but running a body on ice cream can come with some negative consequences. Our diet gives us energy to live, just as a building uses its diet—it’s energy mix—to function. And, just as a diet consists of various food sources, our buildings are fueled by a mixture of energy types, including electricity, natural gas, fuel oil and district steam. New York City started publicly publishing the energy mixes of benchmarked buildings in 2015, and now we’ve included that information as a separate graph on Metered. This enables building owners to compare consumption against their peers and understand the exact source of utility costs. The energy mix data highlights a major success in our buildings. In 2011, New York City launched the Clean Heat program to remove the dirtiest energy types, Number 5 and Number 6 fuel oils, from the energy mix. As a result, the buildings that burned these fuels reduced usage from 60 percent in 2010 to below 3 percent in 2015. The city plans to eliminate the next dirtiest oil, Number 4 fuel oil, by 2030. Metered New York will be able to track progress toward that new goal. In the multifamily building example below, we can see that 78 percent of the building’s energy use comes from natural gas. The remaining 22 percent comes from electricity. Building occupants can use Metered to better understand their utility bills, while building owners can use Metered to help make the most effective energy retrofit decisions. 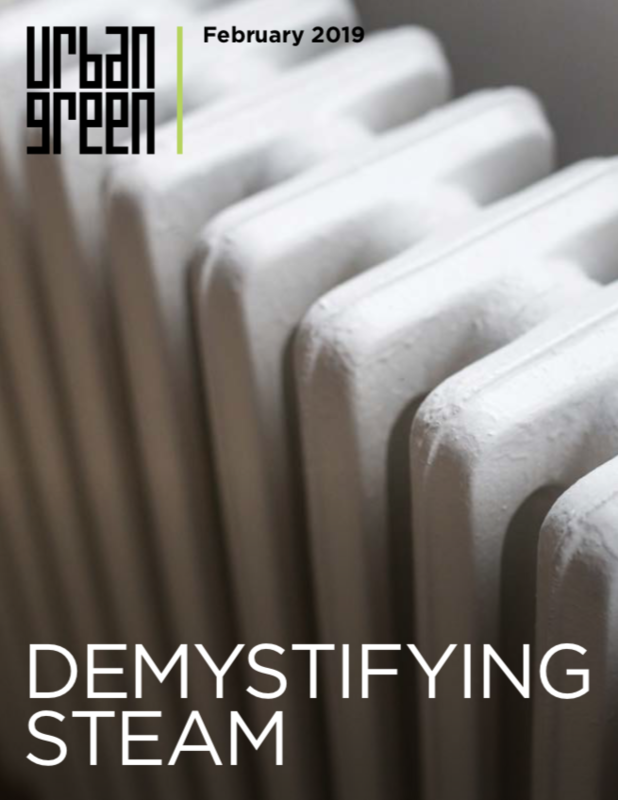 Find out what fuel type your building uses for space heating and how it compares to fuel types in similar buildings. In this year’s New York City Energy and Water Report, we looked at multifamily building energy mixes in detail. The multifamily median fossil fuel use intensity was 65.6 kBtu/sf in 2015, and their median electricity use intensity was 16.5 kBtu/sf. See where your building fits into the graphs below, which reflect the distributions of multifamily electric and fossil fuel (natural gas and fuel oil) intensities. For example, the building above uses less than the average amount of fuel per square foot (58.5 kBtu/sf) and uses the median amount of electricity per square foot (16.5 kBtu/sf). These numbers are site energy use intensities—they tell us how much energy is used per square foot just on the property. Why Benchmark? Why Metered New York? Just as wearable activity trackers and movement trackers on smartphones have become an increasingly popular way to build individual awareness and ultimately change behavior, benchmarking data provides comparable insight into how our homes and offices use resources. 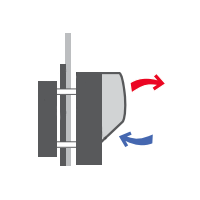 Measuring energy usage is the first step. To make this data useful, the crucial second step is to communicate energy use transparently through our reports the tools that compliment them. We have dug into the latest trends in energy, water and greenhouse gas usage for the entire city in the New York City’s Energy and Water Usage 2014 and 2015 Report. And with Metered New York, you can see how your building fits into the big picture of resource use in New York City. We hope that it will inspire you to act.